It’s been on my bucket list to see the Great Pyramids of Giza. 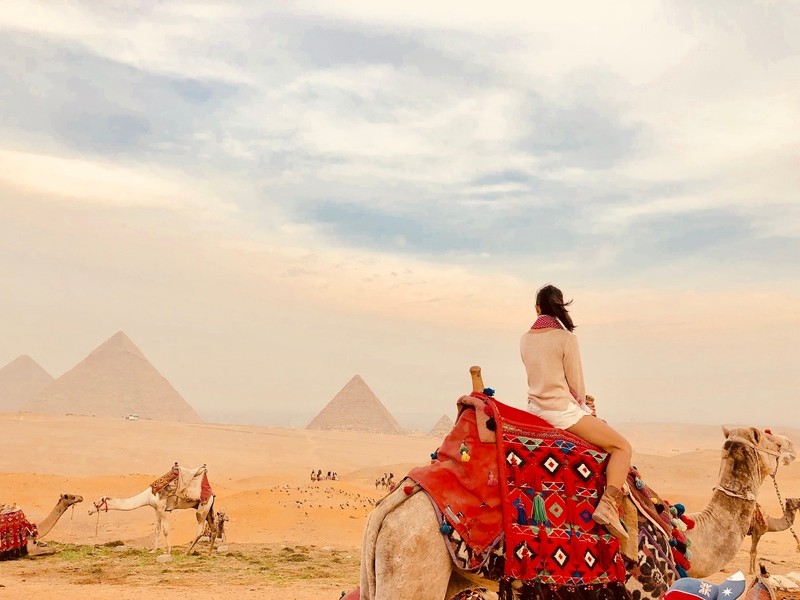 This is why I recklessly decided to squeeze in a quick layover to Cairo, even though I really didn’t have time on my trip in December. 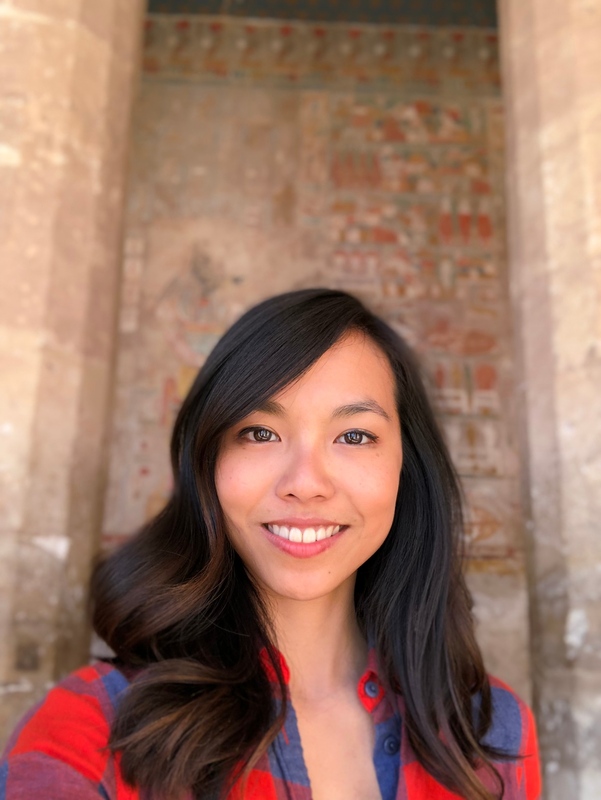 I booked using Emo Tours for my two days in Egypt. The service was great and took care of everything for me. I had a tour guide and private driver for my entire time. I wouldn’t normally travel on such a comprehensive tour package, but since I was by myself and with such limited time, I wanted to maximise my enjoyment so paid someone else to do the hard work for me. It was worth it for me, and I would recommend them as a local tour company. The first day was a driving tour through Cairo visiting the Egyptian Museum and the bazaar. Then we drove from Cairo to Giza, which was about 45 minutes. The Great Pyramids and Sphinx are just on the edge of Giza metropolitan center. I could actually watch the sunset on the Pyramids from my hotel balcony. From Giza, I caught a flight to Luxor on my second day. 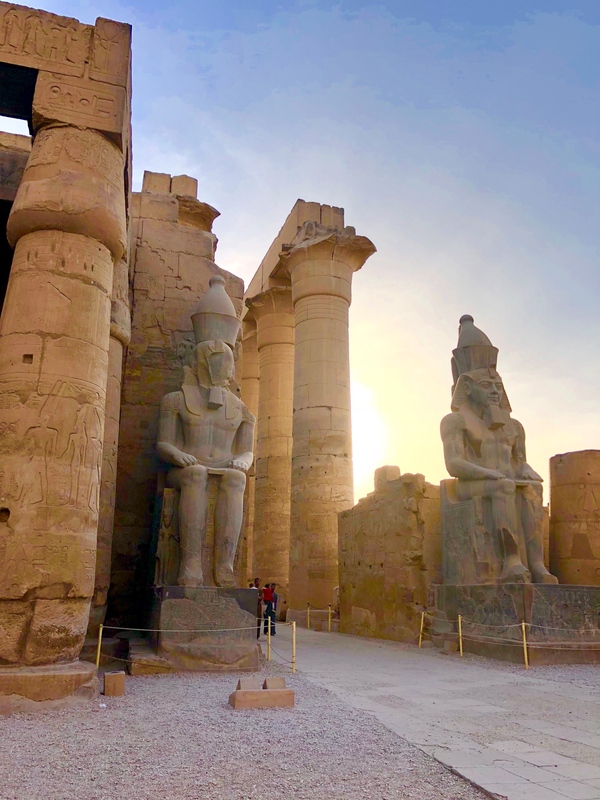 On the West Bank of the Nile, we walked around the Valley of Kings-Deir El Bahari Temple-Colossi of Memnon and the Temple of Queen Hatshepsut. 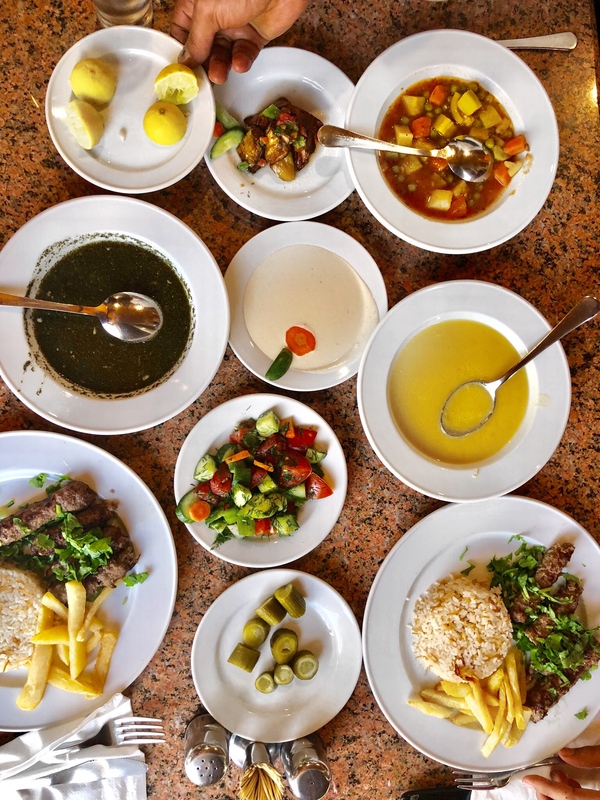 There was an obligatory stop to see how local pottery and stoneware is produced, and a delicious lunch stop with traditional Egyptian food. 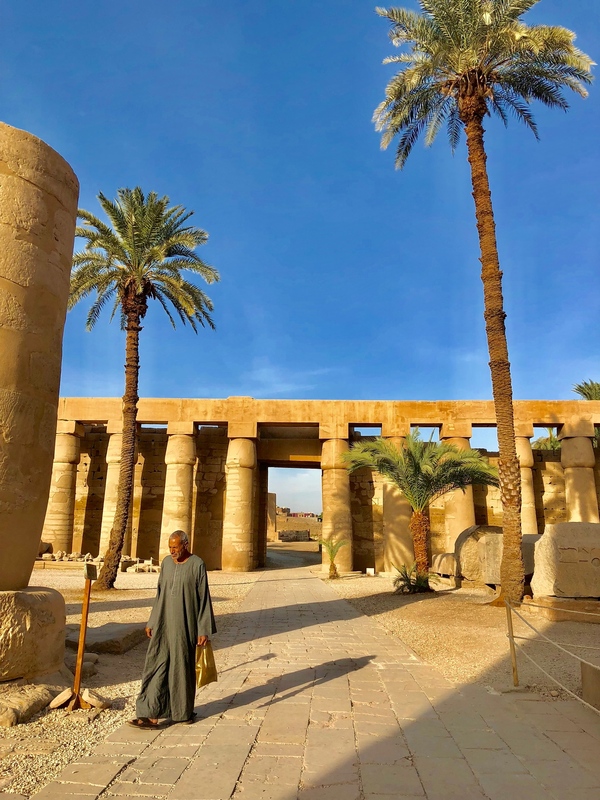 On the East Bank of the Nile, we visited Karnak and Luxor Temple to see its courtyard and the granite statues of Ramses the Great. 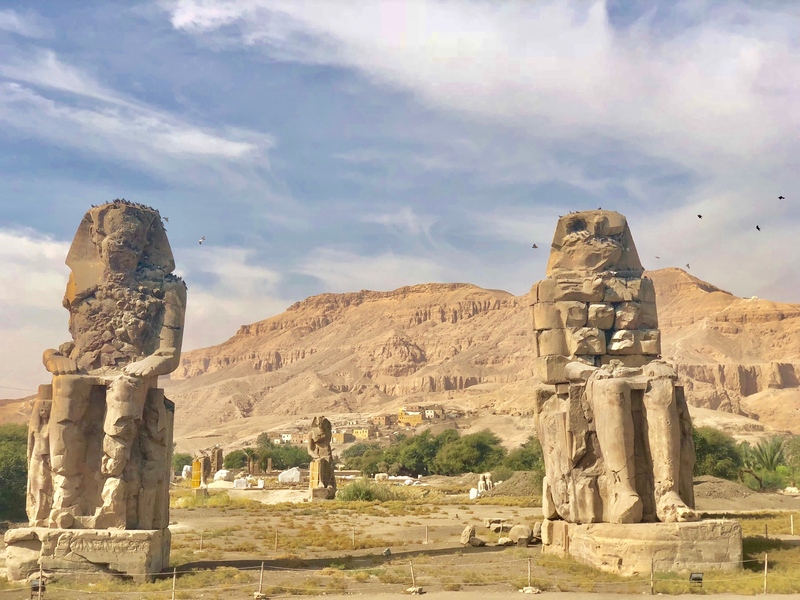 We walked down the Avenue of Sphinxes to the Unfinished Propylon, the Hypo style Hallm with its 134 gigantic columns, the Obelisks of Queen Hatshepsut and Tutomosis III, the temple of Amon adorned with lotus and papyrus designs, the Granite Scarbeus of Amenophis III and the Sacred Lake. 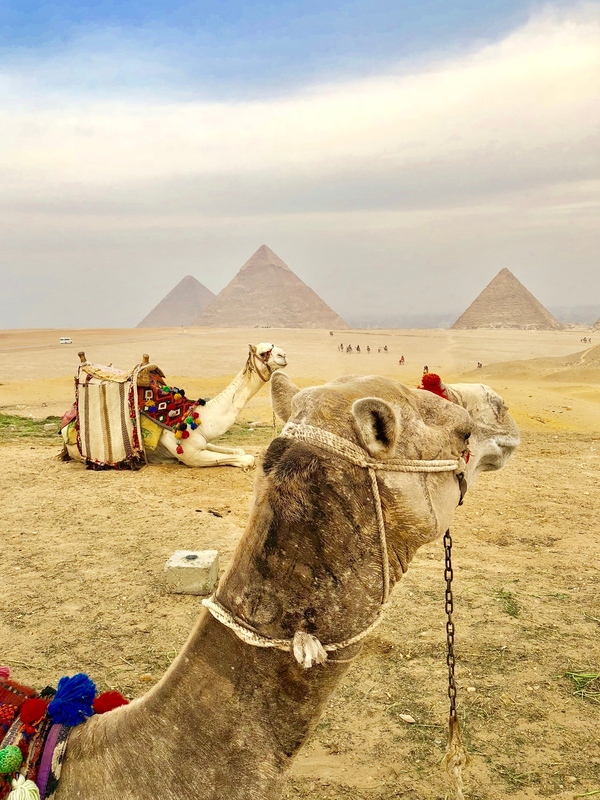 A camel ride around the Pyramids was included! Totally worth it for the photos! Great pictures from these fantastic monuments and places to visit! It was incredibly magical! Worth the trip!